Today on Friday 28 May 2010 in First ODI Match of the Tri Series between Zimbabwe and Indian The Zimbabwe done a upset by defeating good team like india by 6 wickets easily. India won the toss and played first and put up a total of 285 runs for loss of 5 wickets in 50 overs. Rohit Sharma made 114 runs for India. Zimbabwe came to bat after India and batted very well. all the batsman of West Indies played well specially Brenden Taylor made 81 runs. Due to good batting Zimbabwe was able to get the big total of 285 for loss of 4 wickets in 49 overs. Brenden Taylor was declared man of the match for his match winning innings. 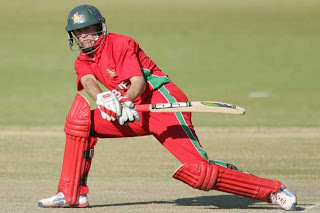 it was a great upset by Zimbabwe that they defeated big team like India.